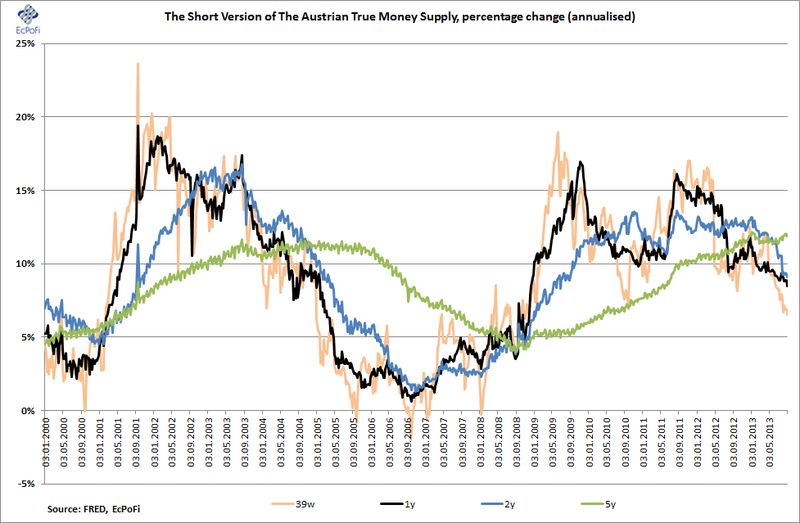 Following three weeks in a row with weekly drops in the short version of the Austrian True Money Supply, it rebounded in the week ending 2 September according to monetary statistics just released by FRED. Compared to same week last year, the money supply expanded by 8.49%. Although this is high by most standards, it was lower than the previous week and hence hit another new low since week ending 15 November 2008. 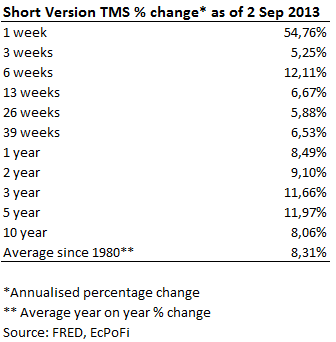 The shorter term growth rates (13, 26 and 39 weeks) are all lower than the longer term growth rates and hence point to a slowing down in growth. 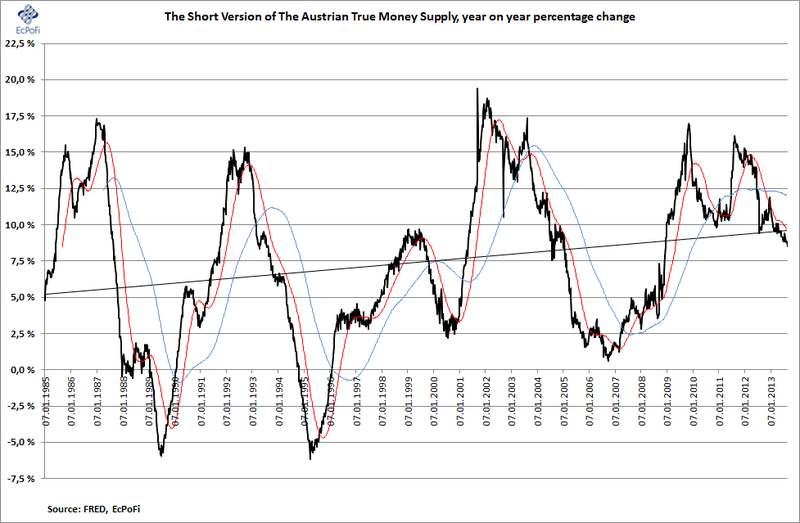 As the bottom chart shows, the longer term growth rates, except for the 5 year, have been steadily declining for quite a few months now.